The morning of Friday 9th September gave us another opportunity to show off the history exhibition in the parish hall. More people came to see the exhibition than the previous day and the little hand turned street organ built locally by John M Page (with carved front by Anna Page) had its first outing when it was placed outside the Parish Hall entrance and played to people passing by in the street. The little organ, the signage and bunting around the church attracted a lot of attention and the hall was busy all morning. 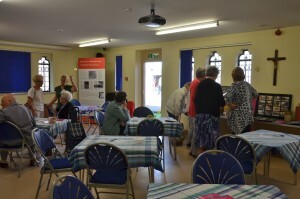 Tea and cake was served all morning. 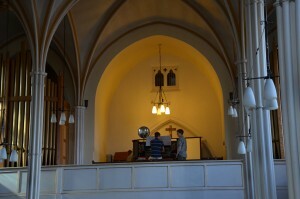 The Willis organ video funded by the Heritage Lottery Fund was played again for some people to watch at 11:30 am. 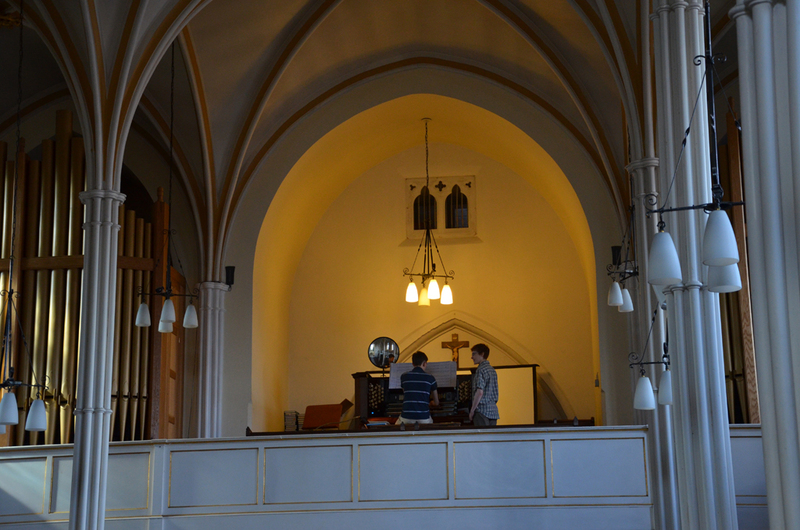 In the meantime Jacob had a final rehearsal at the console of the Willis organ (with his page turner Ellie), in the Parish Hall we could hear the organ as he played. 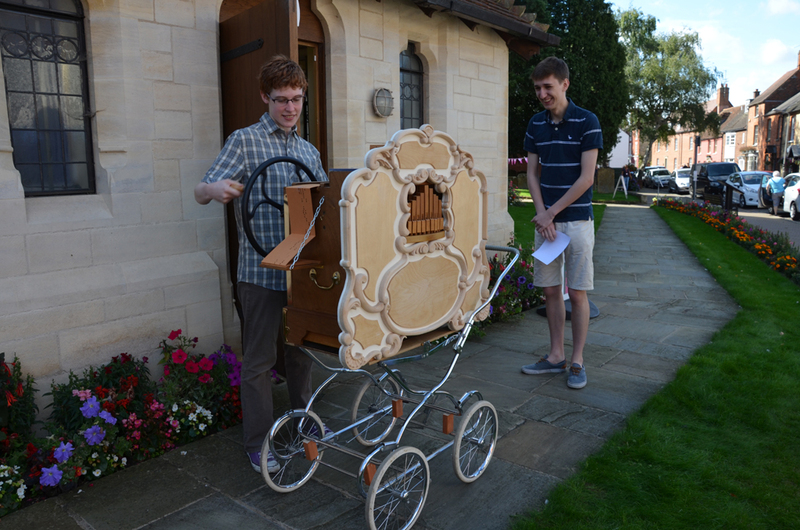 After his rehearsal Ellie hand-turned Sailors Hornpipe on the little street organ for him which provided a jolly contrast to the classical music he had prepared for his recital. 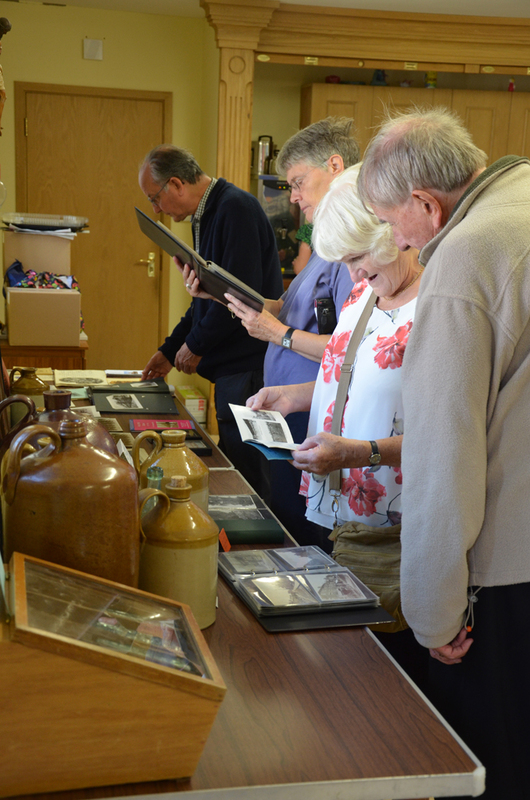 A special thank you to Sue Starr and friends for compiling the exhibition which included artifacts which people could handle. 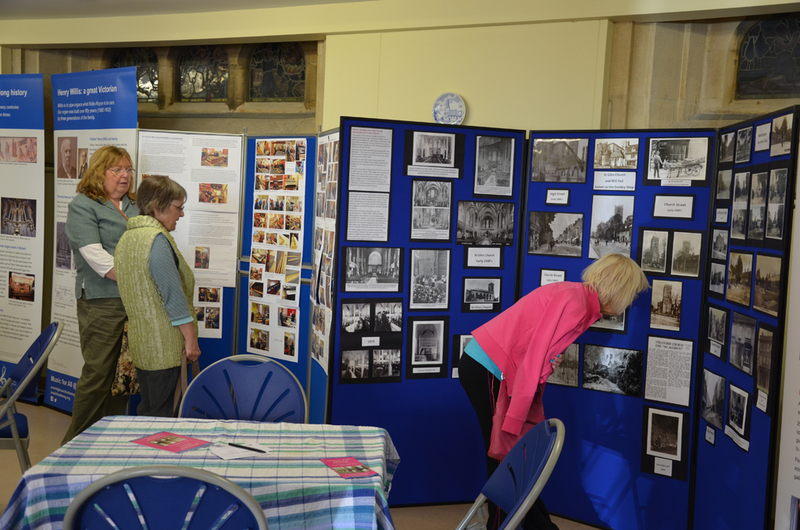 They certainly prompted plenty of animated discussions as people reminisced about Stony Stratford in bygone times and learned more about the Willis organ, its history and restoration.